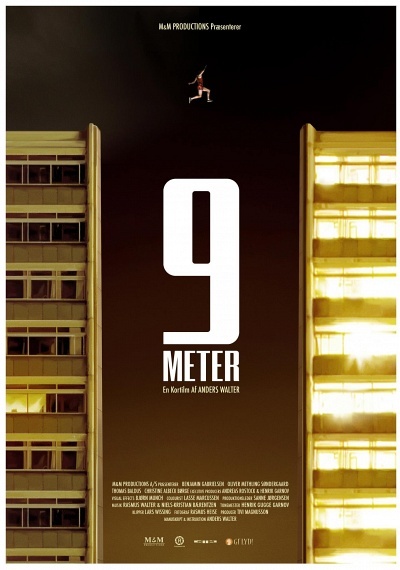 9 meter :: Movie Information :: RabbitTV GO! The 16-year-old Daniel is a huge long jumping talent who constantly breaks his own records. For Daniel, breaking records is a way for him to keep his dying mother alive. She is in a coma, but Daniel discovers that every time he tells the mother about a new record, she reacts by moving a finger. Unfortunately, Daniel stops being able to beat his own record and at the same time his mother's condition gets worse. Daniel feels that he has part of the blame because he is convinced that the records helps the mother to stay alive. In a desperate attempt to avoid the doctors shutting off his mother's life support, Daniel starts to jump between rooftops. He is convinced that the adrenaline he will get by jumping at great altitude is the extra kick he needs to push his body to new records and hopefully keep his mother alive.